Drinking water does nothing but good for the body, but some people don’t get enough. Michael Moscatelli ‘19 gets his 64 ounces and then some, thanks to his gallon jug. “During sports seasons I walk around with a gallon jug of water. It helps me stay hydrated throughout the day,” said Moscatelli. The average person should drink 64 ounces of water a day or more, depending on activity level. Truth is, I normally don’t drink this much. As a runner, I should be drinking about 75 ounces of water a day. Because of this, I challenged myself to drink more water every day for a week, with the goal of working my way up to over 75 ounces a day. I was curious if it would help my running. Walking around HB, you’ll see some students constantly drinking water, others drinking juices/vitamin waters, some with coffee and some with nothing at all. Among these was Rob Bardani ‘19, who seemed to always be drinking sparkling water or cranberry juice. “You get sick of water, so it’s nice to mix things up,” said Bardani . As a fellow track runner, Bardani says he sticks mainly to water during the season, and admitted he immediately felt the effects once he switched. “I thought I was hydrated from juice, but after switching to water, I felt more hydrated and less tired,” said Bardani. Someone you can always catch sipping on some water is gym teacher, Tracy Gray. As someone who coaches sports, Gray knows the importance of staying hydrated as she makes sure to be constantly drinking throughout the day. “Water helps a lot with recovery and replenishing. I drink water frequently, so I’m never thirsty,” said Gray. I tracked my personal drinking with the “My Water Balance” app. This app allows you to record whenever you finish a bottle or glass of water, and it gives you reminders throughout the day to stay hydrated. A neat feature was the weekly recap, which showed how many ounces I drank per day over the last week. This was perfect for my test, so I could compare how well I did compared to my previous day. I wanted to keep things realistic, so I tried to drink more overall rather than force myself to down four glasses at the end of the night to reach 75 ounces total. Because of this, on day one, I reached 66 ounces, an improvement to a typical day, but not at the 75 ounce milestone. By day three, I easily surpassed 75 ounces, and by day seven, I had drank over 75 ounces by about 4pm. Throughout the week, I brought a refillable water bottle to school to take advantage of our Elkay EZH2O LZS8WSLK Wall Mount Bottle Filler Station’s. Plastic bottles are notoriously bad for the environment, so bringing a refillable encouraged me to fill it often. 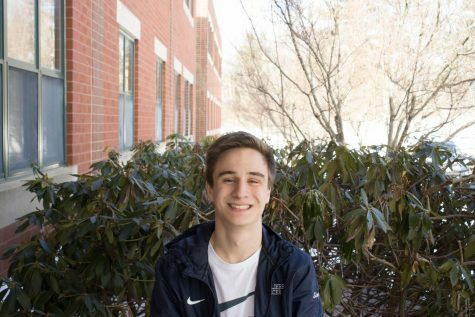 Tim Sulin ‘19 always carries around a refillable metal water bottle, and claims to refill it multiple times a day. “I fill it up after almost every class, and do so again when I get home and before practice,” said Sulin. 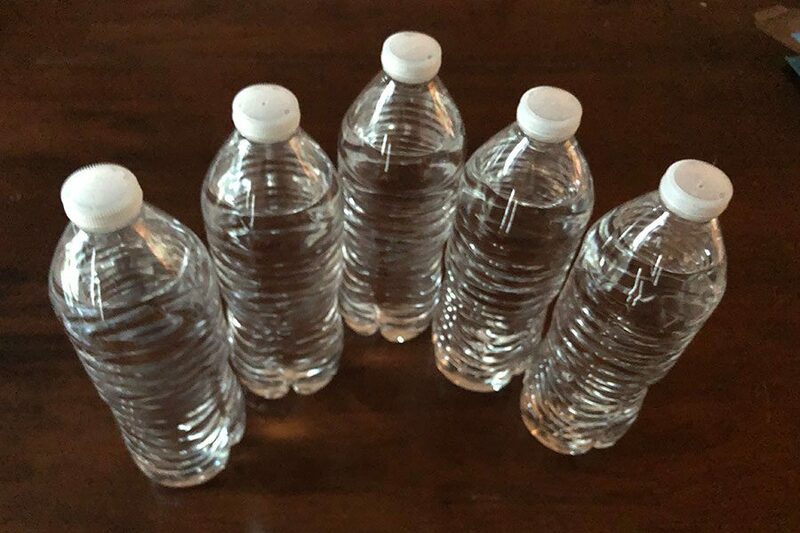 Results: Besides having to go to the bathroom (a lot), I believe I better understand the importance of staying hydrated, especially for an athlete. On days where I had races/games in the past, I’ve tended to drink a lot right before and right after the game. By spacing out the drinking, I felt more energized and lighter. At track practices, I felt my endurance go slightly up and felt more in control of my breathing. Another habit I got into this week was drinking a glass of water as soon as I woke up. This helped me wake up and feel more alert during my first period class. Even after my week was up, I continued drinking about 75 ounces a day without even realizing it. It was nice to not have to track it every time I drank, but the benefits carried over. Overall, I would recommend everyone to drink more to see how it impacts you.